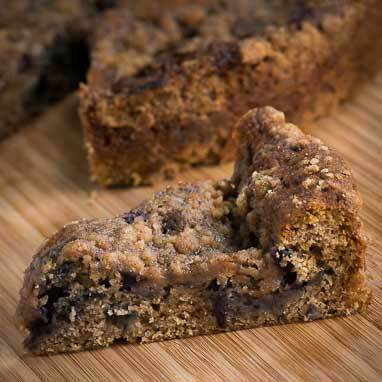 Coffee Cake is always a big hit—a little something to snack on while you cook breakfast or as breakfast itself. This version is also a great way to take care of any leftover cranberry sauce lying around after the holidays, or if you just have a craving for cranberries and the holidays are nowhere in sight. Any cranberry sauce will work but we recommend whole berry sauce instead of jellied sauce.